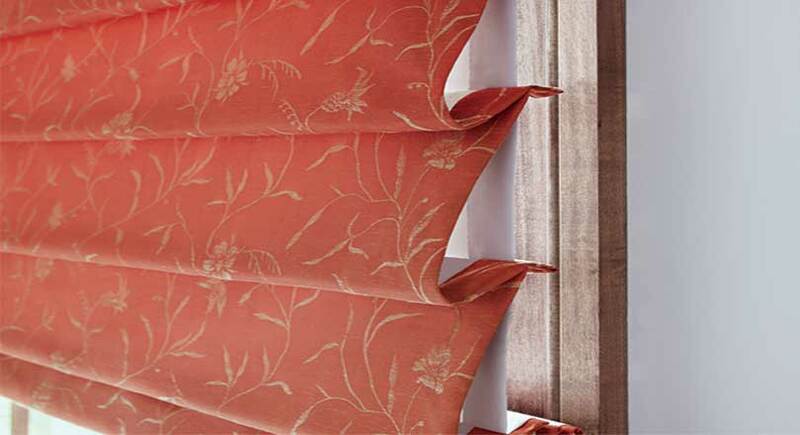 Always stylish in look, Roman shades come in soft, supple fabrics and several fold styles. 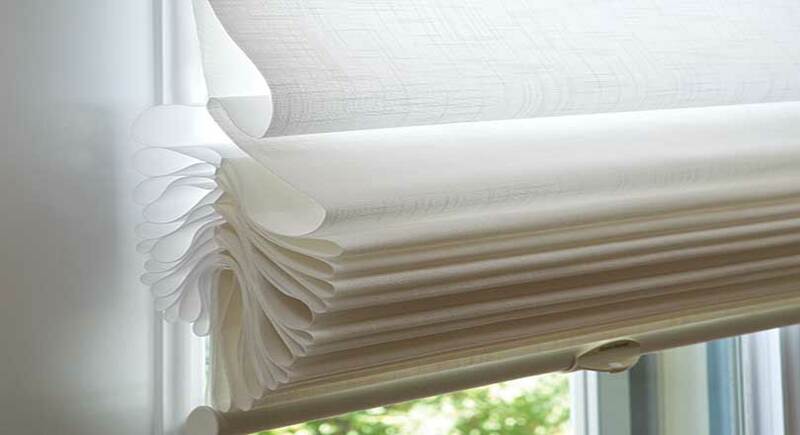 These custom-made Roman style shades combine the look of soft fabric folds with the ease and convenience of a shade. For a natural and textural look on your windows, the Roman style Provenance® Woven Woods fold in a similar fashion to the fabric Roman shades and provide an exciting option to dress your windows. Luxurious fabrics and soft folds give these shades a crisp, clean look with the added benefit of no exposed rear cords for child safety. All Vignette® shades maintain a consistent, wrinkle-free appearance no matter how many times you open and close them. Offered in semi-sheer, light-filtering and room-darkening fabrics, the range of styles and fold sizes help you create beautiful windows. For two opacities in a single shade, consider the revolutionary Duolite® option. Vignette® Duolite® combines a light-filtering or sheer front shade with a built-in room-darkening back panel both housed on a single roller to easily achieve the perfect level of light and privacy. The single roller is unique to the Roman shades category and also allows for less mounting depth than other dual roller systems. The Duolite® option is available exclusively in the Rolling Style with 6 inch flat folds and the convenience of PowerView® Motorization. The Rolling Style features a 4 inch full fold or 6 inch flat fold and rolls up into the headrail. The Stacking Style stacks neatly beneath a low-profile headrail for shallow mounting depths and is available in a 4 inch full fold. Available operating systems for Vignette® include: PowerView®, LiteRise®, UltraGlide®, EasyRise™, Top Down/Bottom Up, Vertiglide™ and Duolite®. Vignette® Modern Roman Shades are available in a multitude of colors and textures, including the premium Alustra® Collection of fabrics. See your designer for a complete listing of color and fabric samples. Solera® Soft Shades are sophisticated with a gently sculpted design. The fluid, unique look of these attractive shades is available in a variety of woven and non-woven fabrics. 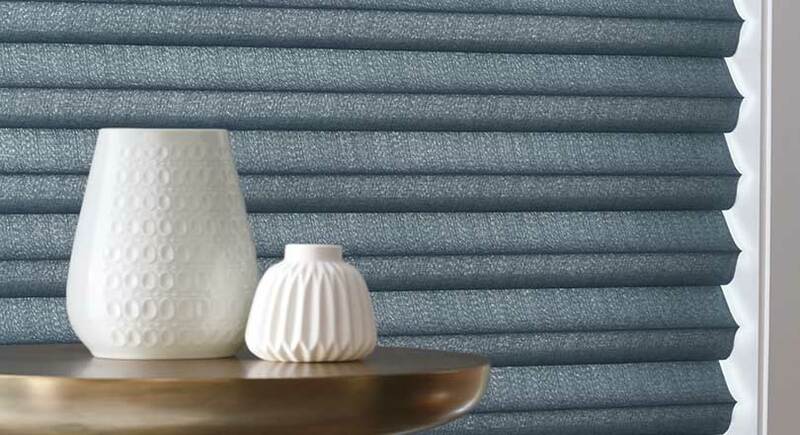 They combine the soft folds of the classic Roman shade with cellular construction, and offer both light-filtering and room-darkening opacities in all fabrics. The cellular construction increases insulating properties and helps to lower your energy consumption. It can also improve your room's acoustics while reducing the intensity of outside noise. Available operating systems for Solera® include: PowerView®, LiteRise®, UltraGlide®, EasyRise™, Top Down/Bottom Up. The Solera® fabric collection is full of luxurious woven and innovative non-woven fabrics, colors, textures and patterns. 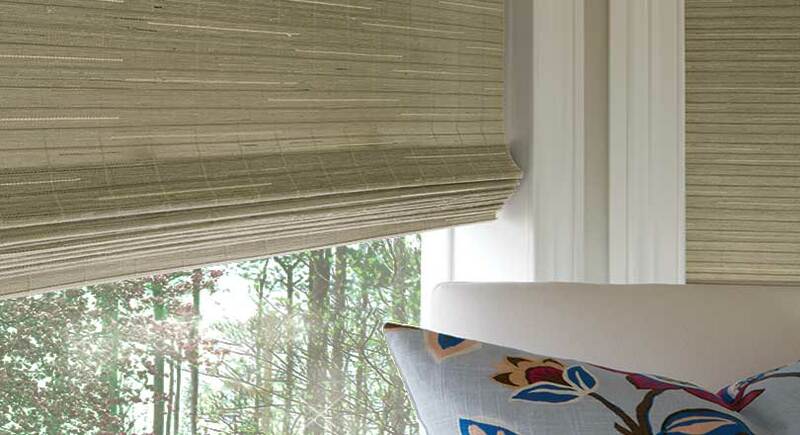 These soft Roman shades are available in over 70 colors, patterns and textures. There is certain to be a combination to suit your decor. See your designer for samples. 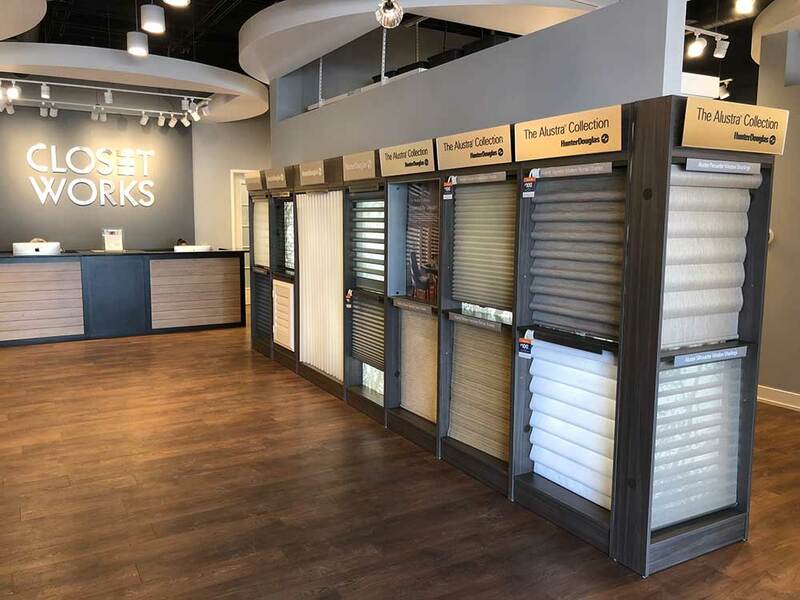 Design Studio™ Roman Shades come in a wide variety of timeless fabrics and four traditional styles including Batten Front, Batten Back, Hobble and Flat. Customize them even further with tapes, trims and complementary valances. Expertly crafted to order, these soft Roman shades offer elegant window coverings in exquisite fabrics — from sophisticated designs, textures and stripes to solids, in blends of cottons, linens, silks and synthetics. Superior linings in two opacities provide light control and energy-saving insulation. All linings are available in white, cream or cocoa colors. Stylish fabrics, tapes, linings and trims are also available by the yard, so you can create decorative, matching accents on pillows, bedspreads and upholstered furniture. Available operating systems for Design Studio™ include: PowerView®, UltraGlide®, EasyRise™, Standard Cordlock. Expertly crafted to order, Design Studio™ Roman Shades are available in over 250 fabric swatches. Decorative tapes, trims and valances finish off the look. See your designer for color and fabric samples. Crafted from natural woods, reeds, bamboo and grasses, Provenance® Woven Wood Shades lend beauty and light to transform your decor. Provenance® shades are available in four distinct styles — Standard Roman, Classic Roman, Hobbled Roman and Vertical Drapery — and can be installed with or without a liner. Liners are available in both light-filtering and room-darkening opacities for enhanced control of light and privacy. Decorative edgebanding and style options for valances let you easily create tasteful, custom window fashions. Available operating systems for Provenance® Shades include: PowerView®, LiteRise®, UltraGlide®, EasyRise™, Standard Cordlock, Top-Down/Bottom-Up, Continuous Cord Loop, Wand Control. Choose from over 100 different choices of wood, color, texture and weave when you select from the Provenance® Woven Wood Shades collection. Woven Wood Shades are also available in the premium Alustra® Woven Textures collection. See your designer for color and fabric samples.